Spring’s ground holds such promise. Black earth rested. Ready for new life. Working the soil, strong hands turn heavy dirt. Broken free from winter’s hold, it tumbles loose through pitchfork tines. Falling first, but landing soft and crumbling fine. Good earth; the sower’s open canvas. Painted in strokes of hope, patience and endurance. Loved into yields of multiplying abundance. 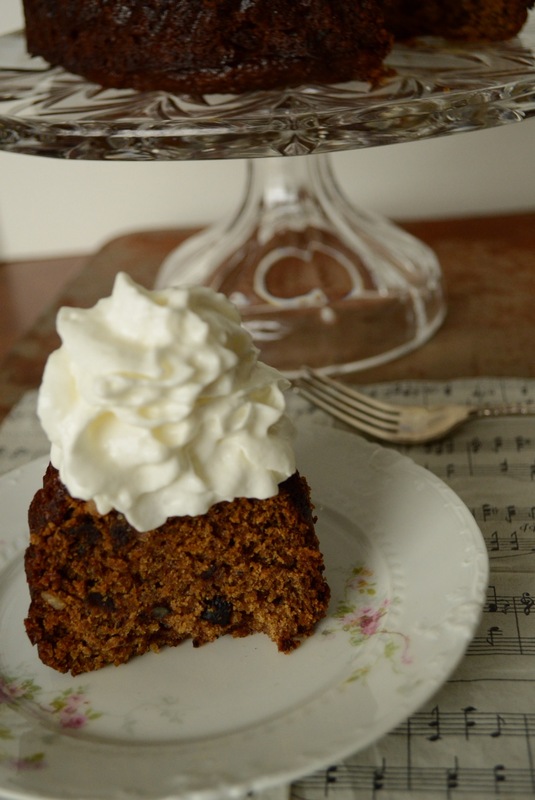 Traditional Irish Date Cake with Whipping Cream. Sticky cake clings to the edge of the plate. Clinging tight, refusing to let go. “You missed a spot,” the youngest sister notices. French porcelain thin, hangs fragile in her hands. The rose-covered plate moves back towards the dish-filled sink. “It’s a poor dish dryer that can’t help the dish washer,” the older sister reminds, elbows deep in bubbles. Inherited bone china, held quiet, between them now. 1. Bright Red Wreath on White Front Door.